Many new businesses run into trouble early in their development through poor accounting practices. Your new franchise should always be run as a professional business with good financial controls at its foundation. Often overlooked, family and friends can be an excellent source of start-up finance. Agreements can be very favourable when compared to other sources of finance. When you’re looking at your accounting for the first time look closely at any financial support you could obtain from your immediate family or close friends who may want to invest in your new franchise as this can often have tax advantages. As the traditional source of business start-up finance, the accounting you have detailed in your business plan is the banks guide to the viability of your franchise business. The finance you are looking for can often be substantial to buy a franchise license. Work with your accountant to ensure your accounting is accurate. Obtaining a grant can be a very time consuming exercise. Grants are usually aimed at specific businesses or for very narrow purposes such as research and development. Talk to your financial advisor about any grants you may be able to apply for. New business finance is, however, unlikely to be met with any grant aid. A business angel can offer you the start-up finance you are looking for, but they may well want a high percentage of the equity in your business. Ensure you and your accountant have checked your franchise agreement to ensure this kind of finance isn’t prohibited. This report enables you at a glance to see how well (or not) your franchise is performing. Profit and loss statements are a snapshot of your franchise's income and out-goings. Income can also include any external money that is used in your franchise such as profits from stocks. Cash is king in any business. 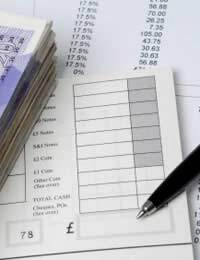 The cash that your accounting system keeps track of will generate the cashflow statement. Try and keep your cash records as up-to-date as you can. This will enable you to avoid any cash crisis that may be on the horizon. Use your accountant to help you manage this very important aspect of your new franchise. This statement should not be confused with the profit and loss report your accounts will generate. This report tracks the assets including plant and machinery that your franchise owns. The balance sheet also shows any debts that your franchise may have including loans or other payments including outstanding tax. Finance and the tracking of your franchise's accounts can be done by your accountant, but you still need to provide them with the figures they need to work with. Income (including any dividend payments from stocks you may have) and out-goings need to be recorded. Any assets you buy, tax you owe and any stocks that might be attached to your franchise all need to be recorded. Today, there is a good range of software applications to help you generate your accounts.